With streaming now becoming the preferred method of obtaining video content for huge numbers of Internet users, sales of capable hardware are on the rise. Devices like Amazon’s Fire TV Stick, Google’s Chromecast, Roku’s Streaming Stick, Apple TV, and the Nvidia Shield are now the tools of choice for millions of users. But while the above are completely legal to market and own, that isn’t always the case for alternatives from less well-known suppliers. In most countries, people are able to buy streaming-capable (often Android-based and/or WiFi-enabled) devices over the Internet that don’t comply with local laws, and not just because they’re supplied ready-configured for piracy. In Europe, for example, electronic devices must comply with strict safety, health, and environmental requirements (such as limits on external radio interference), before being able to display the ‘CE’ mark as required by law. 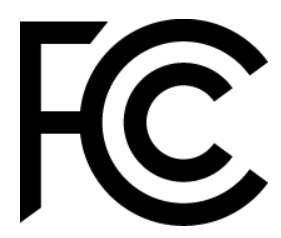 For those produced or sold in the United States, electronic devices can obtain certification and show the FCC logo (above right) providing that, among other things, the interference they cause is under the limits approved by the Federal Communications Commission (FCC). According to the FCC, however, many devices being marketed, sold and used in the country do not meet the standards. In an Enforcement Advisory published this week, the FCC states that engaging in any of the above activites in respect of non-compliant devices is illegal and subject to punishment. “The Federal Communications Commission (FCC or Commission) has observed an increase in the marketing of Video TV Set-Top Boxes, designed to stream Internet-based content, that do not comply with FCC equipment marketing requirements,” the advisory reads. While even non-compliant devices can be used for otherwise legal purposes (streaming Netflix or Amazon Prime, for example), the advisory comes at a time when large numbers of companies are selling devices configured for piracy purposes (or targeted at piracy-focused buyers), which is likely responsible for a decent slice of the observed increase in marketing. So-called “fully loaded boxes” grant access to large volumes of copyrighted content in breach of copyright law and have attracted the negative attention of global anti-piracy coalition the Alliance for Creativity and Entertainment (ACE). However, simply using non-compliant devices in the United States is also illegal, meaning that many thousands – potentially millions – of people who obtained their streaming devices from non-certified sources in the Far East or even the United States, for example, are breaking the law. While sellers of illegal devices could indeed become targets for the FCC at any time, it seems unlikely that individuals will be affected as resources are limited are there are much bigger fish to fry. With that advice out of the way, users can find out whether their set-top boxes are legal (in terms of hardware at least) by referring to page 2 of the FCC’s Enforcement Advisory (pdf). If you found this post informative, please help by sharing to your social pages using the links above. Subscribe to my YouTube Channel for more great content! A Tech YouTuber bringing Tech news, Gadget reviews and general Tips, Tricks and Tutorials! It would be great to see you subscribe to my YouTube Channel. Please help my work by sharing the post socially. If you would like to contribute with the development of my channel and blogs, please use the paypal link above, or donate here! Come and say Hi on Twitter by following @Leetvtech! Stream-Ripping: What Are YouTube, Spotify & Deezer Doing About it?